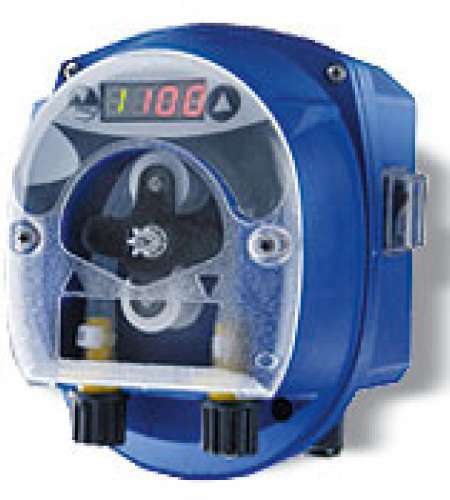 Providing superior dosing accuracy, versatility and ease of use, the quiet-running Dynamik series of peristaltic pumps is perfect for warewashing, swimming pool water treatment and commercial laundry applications. The Dynamik series features SEKO’s transaxle technology, which provides support and stability to the drive shaft to evenly distribute roller pressure on the tubing. Along with excellent dosing consistency, this delivers extended motor and tube life which in turn reduces maintenance requirement. Housing a powerful microprocessor for exceptional precision and reliability, the Dynamik range is simple to control via a luminous 4-digit colour-coded display and offers volumetric and timed dosing options.